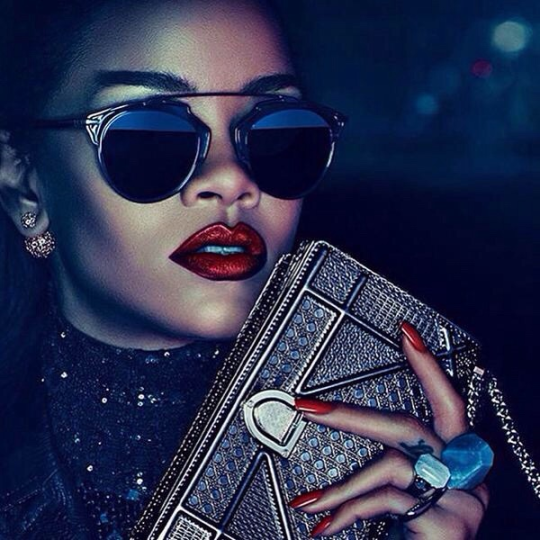 Rihanna’s fashion influence has been considerable ever since she came on the scene singing “Pon de Replay.” She’s a CFDA Fashion Icon winner, currently the creative director at Puma pushing athleisure, has been a red carpet queen since day one, and sets style and beauty trends anytime she steps out. 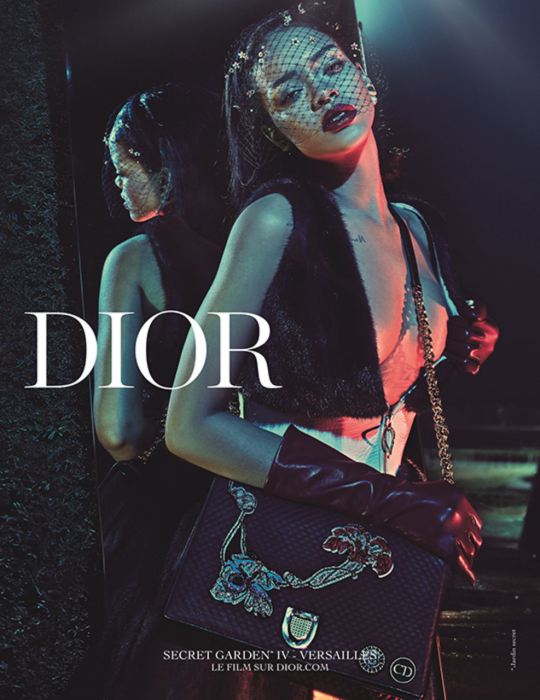 But her latest venture, fronting Dior’s film and print Secret Garden series, is probably her most prolific to date. 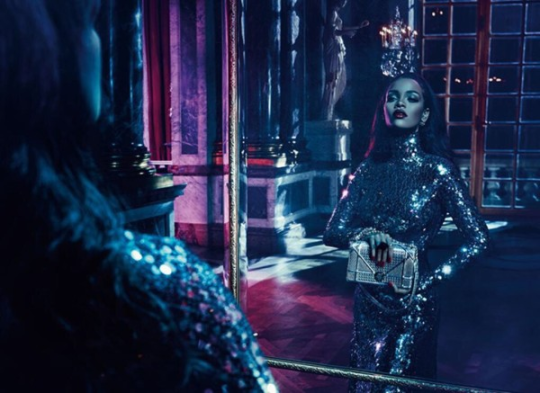 Lensed by famous fashion photographer Steven Klein, the campaign was shot at the Palace of Versailles in France. While not officially released yet, a FashionSpot user in China spotted and scanned them. The photos are predictably beautiful. In one, she’s wearing a fishnet headpiece just like Jennifer Lawrence in her Miss Dior Spring/Summer 2013 handbag campaign. In others, the “FourFiveSeconds” is modeling accessories and clothes from the French fashion house’s Pre-Fall 2015 collection. In one, she’s even sporting street style favorite sunglasses Dior So Real with a statement red lip and long nails to match. Posing in both the estate’s iconic landscape and magnificent interiors, Rihanna still stands out against the historical setting. Check out all the images (that have been sourced so far) below!